One way I take care of myself is having is having fresh flowers in my living room and bedroom. 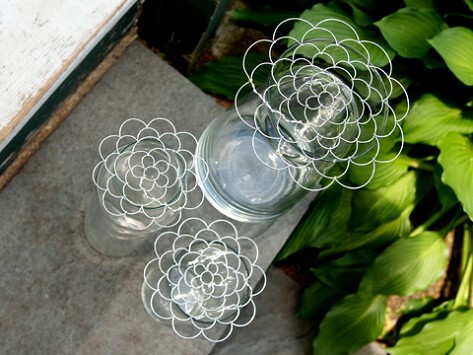 These little wire frames make arranging flowers a breeze. They also help when I don't have many flowers but want a full look. Definitely recommend these. We kept one and gave the other two to a friend and they loved it! I am always looking for easy-to-transport gifts for my sister. 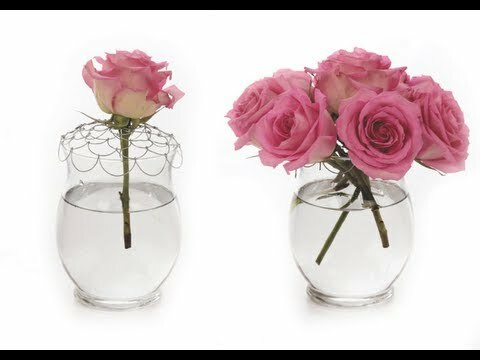 This year when I flew to visit her I brought her a set of these ingenious wire fabrications for holding flowers in place in a vase. She immediately went and plucked a bird of paradise and made an arrangement. Magic! I gave this to a friend who's a Mastergardener. She loves arranging the flowers she grows and was extremely happy with this gift. I use these flower arrangements regularly and gave them to 9 different friends for Christmas. Everyone loves them. I also love the through so easy to store. The three different sizes provide many options. A gift to my daughter who loves it!!!!! It does, with ease, everything you say it does! This is the perfect invention. These fit all of my flower vases, even the unique curves. It makes my flowers sit up nicely on the vase. I feel like an expert! My water flower displays are much prettier with the flower arranger guiding and holding everything in place. Smart idea, smart buy! Ever feel like you’re not doing justice to the beautiful fresh-cut flowers of summer? Are your arrangements droopy or lopsided? Overcrowded or too skimpy? We’ve found the cure for amateur-looking arrangements. It’s a simple wire grid that fits over the mouth of a vase and adds support so that stems stay upright and have the breathing room they need. With Easy Arranger you can still get creative and dream up your own flower arrangements -- the vase topper just helps you execute the designs like a pro. Easy Arranger comes to us from Annabelle Noel Designs, a firm with a mission to launch innovative household products designed and manufactured exclusively by women. The founder is Anne Cork, who tapped her jewelry-making skills to create Easy Arranger after being inspired by the tape grids she saw florists using to hold their flowers in place.